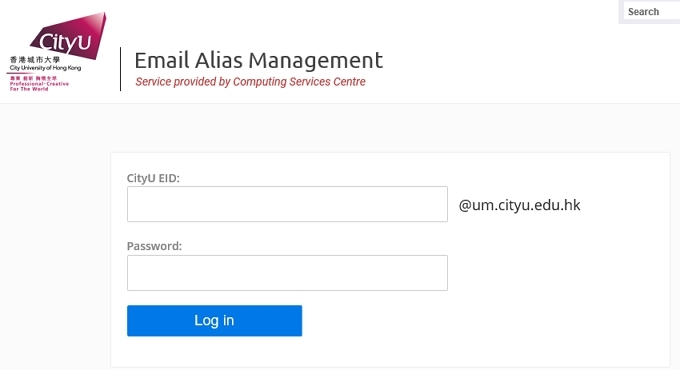 How to set up Email Alias for my Office 365 Account? Click Account Management under the column of Staff. 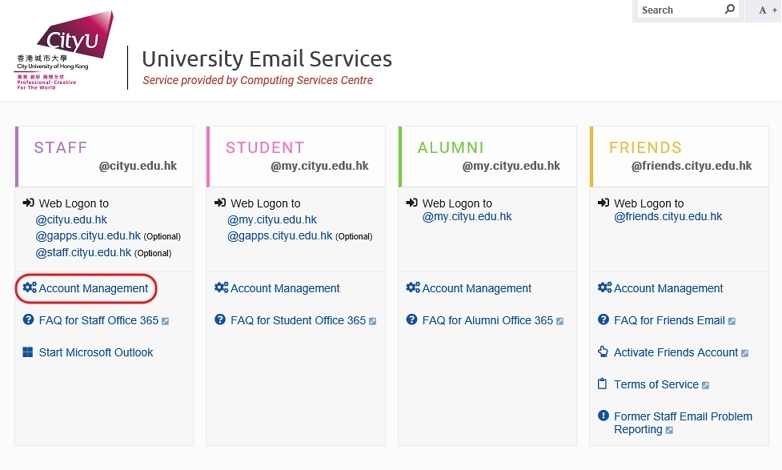 Enter your CityU EID (e.g. 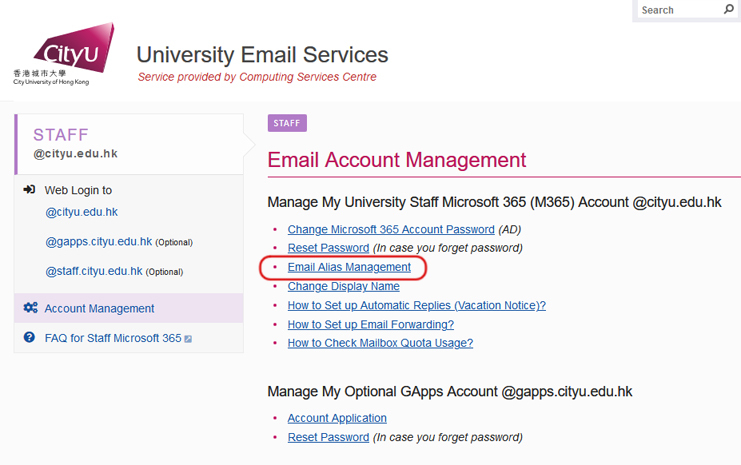 cctom) in the "Email Account:" field, and your Office 365 password in the "Password:" field. Then press the Log in button to continue.